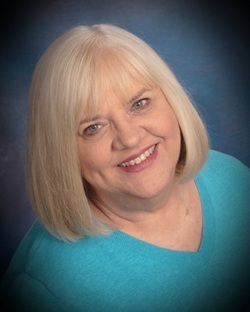 MARY-LANE KAMBERG, Olathe, Kansas, is a professional writer with more than twenty years’ experience. She is the author of more than 30 books. Her articles have appeared in Better Homes and Gardens, Marriage and Family Living, Christian Science Monitor, Healthy Kids and many others. Also a speaker and workshop leader, Mary-Lane can provide your organization a skilled array of topics and lessons that are sure to captivate any audience. Over the past few years she has presented, spoken, or provided workshops for such organizations as American Management Association, Vance Publishing, Hydro Consultants Inc., National College Media Convention, Avila University, Johnson County Community College, Kansas Authors Club, Missouri Writers Guild, Oklahoma Writers Federation Inc., and elementary and secondary schools in Olathe, Shawnee Mission, and Blue Valley School Districts. Mary-Lane's poetry, essays and short stories have appeared in several anthologies and literary journals including: A Celebration of Women, Beginning from the Middle (anthology); Sacred Feathers (anthology); The Season of Light (anthology); Kansas City Star, Late Knocking, Mediphors, Mid-America Poetry Review, Potpourri, and others. ﻿Coming This Summer, a GREAT Writing Camp for students entering grades 2nd through 8th next fall, mentored by Mary Lane! Learn more about the ﻿► I Love To Write Camp! The I Love To Write Book: Ideas and Tips for Young Writers is an instructional, inspirational get-started guide to launch young students on the first stages of their journeys to become successful, self-motivated writers. It includes tips, techniques and activities – ideal for use in the classroom as well as individually. Targeted to grades 4-8, it may also appeal to younger and older writers, depending on their reading and writing skills. ► Purchase from Amazon.com NOW! Homegrown in the Ozarks contains Ozarks nostalgia, as well as recipes for traditional home-cookin' favorites, truly capturing the flavor of the region. Burnt toast, soggy sandwiches, and charred roasts are soon to become a thing of the past with this handy book! From home-style favorites to new and creative dishes, kitchens all across the country are about to change forever. The I Don’t Know How to Cook Book brings ease and fun to any kitchen, with more than 300 fantastic recipes and surefire instructions for making perfect meals every time. The easygoing “you can do it” tone is certain to bolster confidence and reveal hidden culinary talents among even the most inexperienced novices. Anyone who can boil water can learn to make the quickie breakfasts, grab ‘n go lunches, elegant dinners, and decadent desserts featured in this superb cookbook.